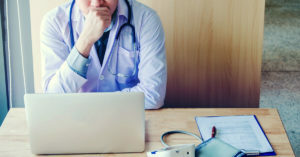 According to data published by the Association of American Medical Colleges (AAMC), the U.S. will have a projected shortage of physicians that could reach over 120,000 by the end of the next decade. Especially hard hit are rural communities, served by Federally Qualified Health Centers (FQHCs), which are dealing with primary care shortages and also a lack of resources to address other healthcare needs. In communities throughout the U.S., healthcare providers are struggling with an increased demand for behavioral, mental health and addiction treatment services. In rural America, the problem is compounded because FQHCs are often relying on family practice physicians to provide these expanded services to the community. In 2000, Congress passed the Drug Addiction Treatment Act, known as DATA 2000, allowing physicians to prescribe FDA-approved medications for the treatment of addiction and other mental health needs. Originally, DATA 2000 was enacted with restrictions limiting the number of patients a family care practitioner can treat at one time under the plan. As the mental and behavioral health needs of the community grow, practitioners at FQHCs are applying for waivers that expand the number of patients they can treat under DATA 2000. This scenario serves to illustrate how critical it is for FQHCs in rural communities to effectively recruit and retain primary care physicians who not only have the skills but are willing to earn the certifications necessary to meet the behavioral and mental health needs of their communities. Today, according to the National Association of Community Health Centers, almost 70% of Health Centers have a physician vacancy. In many communities, the local health center is the sole healthcare provider available to the residents who live there. FQHCs operate under federal funding and often rely on grants and other creative funding sources for recruitment purposes and expansion of services when needed. Recently, an FQHC located in rural Vermont was dealing with a primary care vacancy at the same time they were trying to expand their mental health services offering. Because of the length of time needed to fill vacancies in the past, they turned to Jackson Physician Search for help in meeting the stringent timeline associated with a federal grant they had received. The grant funding was set to expire within a few months leading the FQHC to find a recruitment partner with national reach and a proven success rate. Their requirement called for a family care physician who had experience treating all age groups and would also be willing and able to meet the certification requirements for a DATA 2000 waiver. The waiver was a critical component of the FQHCs expansion of services for the growing mental and behavioral health needs of their community. Ultimately, JPS presented a successful candidate that met the family practice requirements, was open to an accelerated relocation process, and will have the DATA 2000 waiver certification completed within the time required. The above recruitment story is all too familiar to many FQHC Administrators. 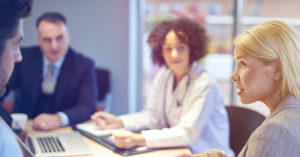 As the primary care shortage continues impacting the healthcare industry, health centers will be navigating these challenges while finding new ways to serve their communities. If your organization has a physician recruitment need, contact the professionals at Jackson Physician Search to find out how we can help.